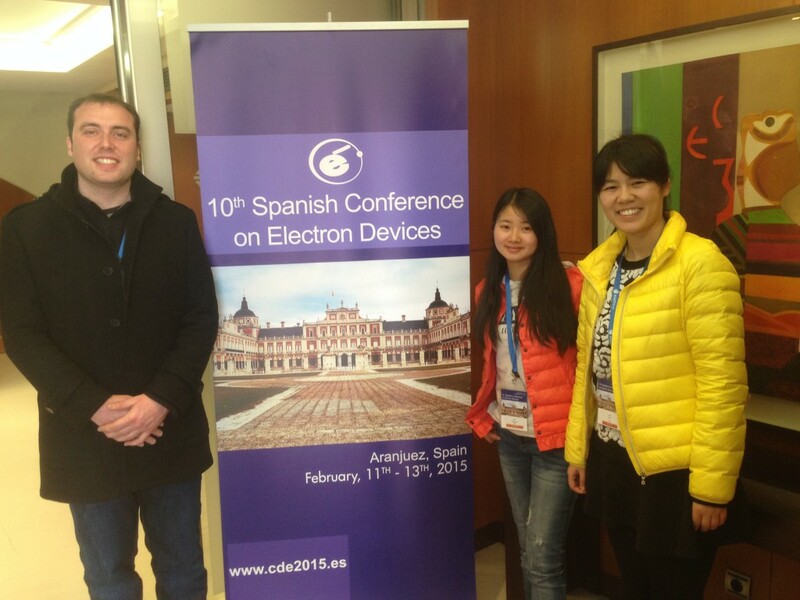 The members of our group, Yuanyuan Shi, Fei Hui and Mario Lanza participate in the 10th IEEE Spanish Conference on Electron Devices, on February 11th-13th of 2015 in Madrid (Spain). In this conference, we presented our recent progress in graphene based devices. The contributions have been published by IEEE and can be found in ISI Web of Science. For this trip, Fei Hui received the international conference travel award from Soochow University, a very good platform for our students to participate in these meetings.